Inside the main community square at Tudor Oaks sits our state-of-the-art wellness center. 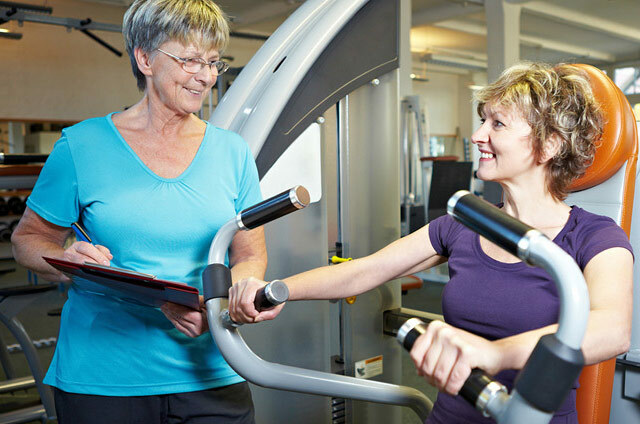 Acting as the main hub for the community, it is clear senior fitness and wellness is one of our top priorities. The Mighty Oaks Wellness Center features an aquatic center with warm water pool, whirlpool, and locker rooms; a fitness room with fitness and weight machines specifically designed for seniors, and a gym that is the home to a variety of fitness classes, dance groups and Wii games. Located in the heart of Tudor Oaks, the Mighty Oaks Wellness Center provides a convenient gathering place where residents can engage in social activities like Wii bowling or tennis, swim laps in the pool, or play with visiting grandchildren. We also have a full-time professional trainer on staff to help you meet your fitness goals and maintain a healthy and active lifestyle. Whether you are just beginning your fitness journey, need to make a lifestyle change or just want to get in shape, Tudor Oaks is a fit for you! Please call us at 414-529-0100 to learn more or set up your tour.